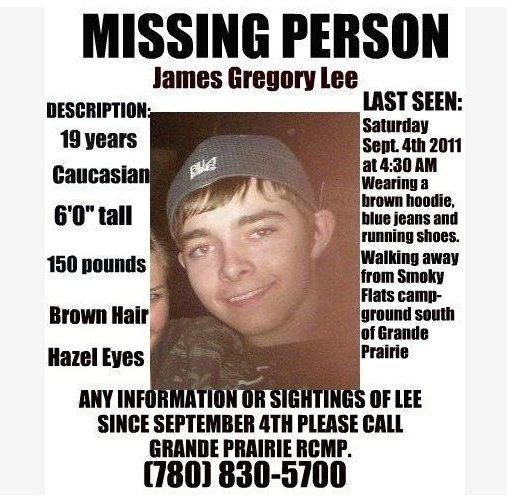 James Gregory LEE who was last seen at 5:00 a.m. on Sunday September 4, 2011 walking away from a camp site at Smokey Flats, 40 km south of Grande Prairie. Please note that tarot will pick up TRENDS /VIBRATIONS of PAST PRESENT AND FUTURE - it will pick up anything that is 'out there' true news or false news - either way it can throw light on what is 'in the air' - please bear this in mind when you are reading the insights. It is very important that 'readers' of the blog understand this, therefore one has to be very discerning when reading. Media news can put out stories that are not factual or are pre -mediated but Tarot can pick that up. It does,nt mean that tarot is wrong, it shows tarot can see what might be suggested. However when writing the tarot it may be taken as fact. Tarot does not have all the answers or claim to solve issues. All it can do is show what it feels may be of USE or point out possibilities. which is a useful article in respect of all the Tarot printed for Missing people/children. TAROT CANNOT BE CONSIDERED AS 100 PER CENT ACCURATE BY LAW. I have been asked to look at the Tarot in respect of the disappearance of Jamie who disappeared in 2011. 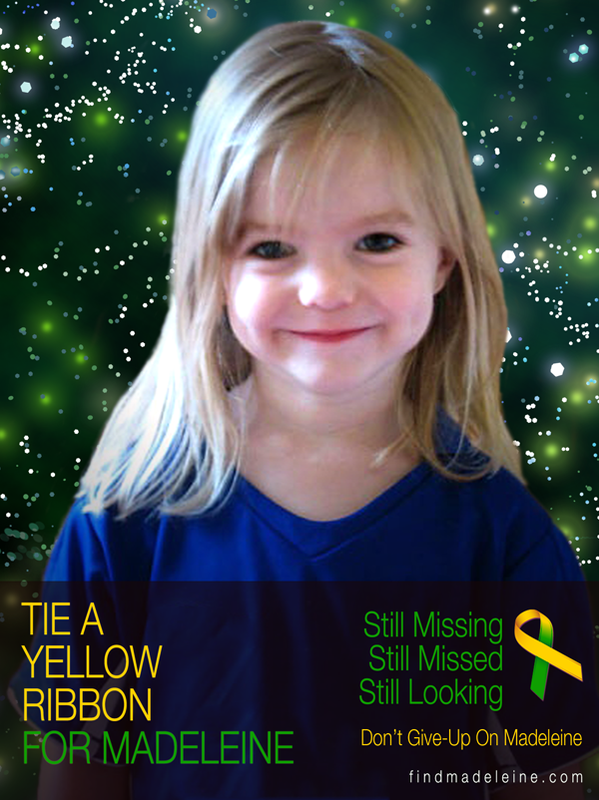 As far as I know Jamie is still missing. Tarot may be able to show us glimpses past present and future. All Tarot is an experiment in the hope that it may produce assistance but only validations that support what is written can support its usefulness. Please read all the notes on Tarot. You are always advised to remember Tarot gives possibilities NOT facts and to find those you are asked to look up factual sources of information. The first card I have seems to show Jamie Travelling in a North West direction. I always frown when I get this card because its just such a difficult card to work with BUT it seems to show Jamie in a dusty road environment but also I have other descriptions I can give and hope they might help. However, this would link very much to a crossroads and a decision he might have had to make. Cliffs and rocks can come into this card. Bear in mind they might be names of places, Im still trying to find a map to show me where he disappeared so that I can see properly where he was. I have asked Dee if she can show me. Meanwhile going back to this card, one of the noticeable attributes is the dog that appears to be nipping the persons heel. This can suggest an animal of some kind coming up from behind. Its not necessarily the case but it is there and the fool is thought to be someone who is a little bit 'out of it' or takes risks or just isnt thinking properly. The descriptions of landscape or possible keywords I have that might act as clues to place names or otherwise are hills, or land that is uneven . Accent is on the word High or high up. I am also seeing an attic or a roof so elevation seems to be here unless there are names that link to this. There are also water elements, I am given names like fountains or springs or vineyards. A B J D or R are initials of people or places. There may be keywords connections also to deep wells, quarries, mines and land that has recently been dug. Deserts, woods, obscure valleys, caves, dens, holes, mountains,church-yards, ruinous buildings, coal-mines, sinks, dirty or muddy places, wells and houses or offices. I am seeing some kind of 'handyman ' here too who has dark hair and might sport a thin beard or have one growing faintly. Im given a Saturday here. Respiration can come up here. Possible sore feet or legs? Seeing him in a sitting position at some point. Getting the word - Ash? This next card is South but East or South East given without any dispute and it is going to show an airport SOMEWHERE in landscape or vicinity, besides this will show someone with a car. Clearly on this card we look to feel attacked somehow and I think Jamie fell down a hill or that there is a hill in the area or some kind of hole. I see him on a hill and some kind of feeling that he is imagining being attacked and then I see being in a rural area with a stream but also there might be a house on a hill - this hill word is bugging me!! I feel as though he is not far from rolling hills and trees but just in front of a town that is South because I can see it, might be between places. Someone blonde or the name 'fair'. Im not sure if he is in the same place he went missing from though - the number here is 9 - again this card can link to being up high and we get the word attic here. Im sorry its a little difficult to put over but pyramids, walls fences damms and water can be in this card. They can take any form, whether name or actual landscape. Words like Bow and Victory can be here too. Quite a coincidence as apparently there is a Bow camping site I spotted when I was looking for a map of where Jamie was. That I think is somewhere South. However, this may just be a location being picked up as a wider circumference of vicinity. Im seeing some kind of gray stage which might be tarmac and green mountain ranges in the background. I really do think I can see an airport and have mentioned that. South East can come up - heat and fire burns or scars ? I can see someone a bit plump with auburn hair and a bit of a beard? The Colour Red comes up here. Some link to 'a soldier'? The word Victory or words like it or letter V.
Im getting a feeling of being trapped . I see he might have hurt himself somehow. I am seeing him on his own but Tarot is past present and future and Im not sure what stage this would come up. Im seeing a security guard here?? Perhaps the 9 is a link to a road or route? Body guard or guarding body? I am being given the same card as previously for the search/finding of Jamie. The 9 is either a route or distance or timing for when he will be found. Usually the wands card is a Weeks card but clearly that cannot represent a correct timing but it might be meaning a 9 period. This is not the best card to find somebody because there is a wall up and you can see it and the person is hidden or hiding behind it - so obviously there are obstacles and hindrances to finding Jamie, that much is clear to me. Certainly a really huge effort would need to be made to find him or connect information to where he is. The only way this card could link to 9 weeks is if he had been found but it had not been realised but I really just feel I should leave the 9 here as it is as I cannot be sure. As an aside I am getting some kind of 'sporty' links and its possible Jamie hitched a lift from the side of a road. If that is/was the case or someone who was driving along is involved then we might be looking at someone who is well proportioned in body and face, tall and large.Complexion might be ruddy, dark or tanned hair is often light-chestnut . Someone pretty fit and strong. I am seeing 'red tape' and someone who talks a lot or is a spokesman here. The word Hunter comes up. Construction can come up too like new build areas or something that has been built. Someone who has a fast car? An entertainment/music link or name? - the word Bow or Arch or an Arrow sign? Tarot can only show possibilities and glimpses not every detail and I have given what I can. Tarot does not represent fact unless something is validated and therefore time can often be involved for information to show up. I find it difficult to pin a time when Jamie might be found because he is hidden. I am seeing woods but this is the search and find card and if woods have been searched it can come up here as something of the past, but again could still be a future prospect so I just have to leave it. Also Timber comes up. Wood stores and sawmills perhaps even storage places. A Thursday might have some importance. East then South or South East given. I hope something might help. I have asked Dee if she can look at a map to see if she can place Tarots thoughts on it so I will post that soon. If I have any other thoughts I will come back and post. Meanwhile the cards must be read in combination. It seems the location and search/find card are exactly the same with what they have to point out. I would bear that mind when reading and also that Tarot is past present and future. Dee has compiled a map which OUTLINES all the areas that Tarot may be touching on or may be describing. Please bear in mind that this is not guaranteed and Tarot can mean somewhere else entirely. There may be other factors to put on this map but for the time being here are the basic elements that have come to light. I have been asked via Family member to look and see if there is any further information to give in respect of James Map or Tarot. This Tarot MUST BE READ in CONJUNCTION with the ORIGINAL TAROT printed and information COMBINED as an EXTENSION of each card originally selected. Our first card is North West as previously specified and can show a great deal of innocence about where we are going. It is presumed that Jamie might have been drinking though I was not aware of that at the time of writing and therefore this card would be quite suitable to suggest that they were possibly not thinking correctly. It 'feels like' we should have been careful because of the fact that we have a little dog nipping at our heel which suggests that we should watch where we are going in case we fall or do not see an impending problem but there is an air of reconcilliation here which could suggest that we want to link up with someone or that we want to fix something so we have what is considered a fresh start and choose. This is a crossroads card so that might have meaning on a map. We might be at a crossroads knowing we have an important decision to make, our innocence makes us feel protected or we view other people as innocent and feel they will protect us so we just 'go with the flow' putting faith in the situation. We want to be happy and we want to release our cares and woes. This boy is heading into a direction unknown and it seems that there are others who think hes 'nuts' to do that but it does show in that case that others have or must have seen him but tried to tell him to come back or might have thought he was mad going off like that. I dont have proof that someone stopped him on this card only that there is an element of warning here unless the nipping dog shows that someone did try but failed. On this card we get the impression of a cliff or rocks whether in name or whether an actual location. A Zero gives the idea really of a circular environment but we either approach a crossroads or an X or that we reach a crossroads mentally where we just decide to trust whats going on. But this card is given for an 'unwise man' and its that which issues the warning here. This card can represent the leg/shin which rather made me feel that this boy hurt his leg. This card can tell me that someone is attacking him from behind so they would have come up behind him. Whether that was fecetiously or whether it was to try to stop him walking on is debatable. Because we have the packed hanky it suggests that Jame may have had something with him, often a wallet or some belongings of some kind. Sometimes it can show someone trying to take something off him or get him to leave it behind. Perhaps there was a squabble over that or that we are shown that for another reason. In this card it suggests he is looking down OVER a cliff or a Hill as there is a lot of blue sky behind him and he is looking in the distance. He has to be careful 'not to go over the edge' but symbolically if this is not the scenery then he himself must check himself not to go OTT. But also there is a sense of trickery in this card and Im not quite sure how to explain that. It could be that he walked for 200 yards but I did see travel in his Tarot and felt he was picked up. The Sun is behind him and seems to know where he is going and what path he might take at any given time. When we bring the Sun into things the sun can represent a family member or travel. We are given the positive side of this card but the negative sign is when we lose our belongings and we really dont know where we are and are confused and disorientated and there would be a sense of irresponsibility permeating here. The number 22 can come up here and also the number 33. Adding the 2's can give us 4. This can show us an authority figure who we should listen to. Adding the 3's can give us the Lovers card which is a family card so would express a family member. These numbers may be used in a different way for route possibly. It can also show us that two people possibly offered advice to Jaime that perhaps he should have listened to. The Lovers card is going to show a 'garden scene' with a mountain and a tree. The word EDEN comes up which in some cases has named a place but it can really show us a wildlife garden or the area being such as that. James was camping so that would make a bit of sense. However, if we stretched this a little more it could also show us a car that might have been travelling South but there might be a fork in the road . The fork in the road might be the word FORK or could be a junction that goes into a main road, two paths leading into one effectively. The Chariot could very well be a truck because it has a canopy on it but that is NOT always the case and I stress that. This car will take us to a place where there is a Mountain, rural land with a stream running through. There is a reference to animals (like Zoo) and the colour WHITE is always important. We must consider that this is an ORAL sign which could signal something being said or it could represent teeth, dentist, dental matters or bones or it could be a word that sounds like ORAL such as OREGON. Thats just an example and NOT a fact. When it comes to this car Jaime is not afraid as this card would somehow make him feel no fear? We may have gone off on our own intially because we have a SUMMIT or a HILL and its dark meaning that it is either really dark as in the time of day or it means that 'we are in the dark' as to where we are. We could also be in the company of a Man. If we are in the company of a Man then he might have a beard and he might be considerably older, ie,not a young man. Possible father figure or authority figure. However I do think we 'travelled' somewhere. NORTH WEST primarily. Our card gives us respiratory problems, breathlessness and problems with Bones therefore we could have hurt ourselves and lameness is one such factor. Our leg. This card can describe Jaime or another person and here we have someone who is trong, sturdy with a well composed body. Person not considered tall but long face and prominent bone structure. Complexion clear and fair hazel eyes honest disposition with Sandy or dark Flaxen hair. The word High, either being up high, looking up high or area name comes with keywords, such as hill, or uneven land. If in a building can describe a roof or attic room, or eaves, pyramids. Main point is describing a high place. Water comes into this card suggesting that there are locations around that are linked to natural or manmade sources of water supply, fountains or springs. Fountains or Springs can be the name of a place. Also anything linking to water, vineyards, taps showers baths or places where there are power supplies. So it is looking for the keywords here for place names if they apply. The next card is repeated twice which is the 9 of wands. The two cards suggests a house move and a change of address, so new location? and they represent censorship so that means that someone knows and they are not telling. The letter Y comes up. Dark Blue and Red. Yellow. Numbers 9, 35 and 8. There is the possibility of a WALL or WALL name in the first card and it appears here again. Again this card suggests conflict and others who have rounded up on him. Keywords would be Heat/Fire, Horses, stables, open fields, hills, lots of space. Attic, eaves, or upper rooms if in a building. Keywords would be Sweet scented odours, buttocks, hips and thighs, churches, public conventions, synods, convocations, in places neat, sweet, in wardrobes, courts of justice. I am wondering a little bit about the Cariboo Highway, 100 mile house as there is an Industrial Road there and also Horse Lake Road there . There is an airport there also, Dogwood Crescent and a Church and a university. I could be completely wrong but its possible as these things can come up. Location is always going to be incredibly difficult but considering that we begin with a 0 and our next card is 1, perhaps at least enquiries could go up there? I also note The Lone Butte area, Watch Lake Road and Watch Lake, Bonaparte Road it does fit a kind of Y junction formation. Perhaps these are areas to consider or part of a journey connected for someone? . South is what I have. I note also on the Cariboo Highway there is a 100 mile ranch and Spring Lake Road. I wonder if an area would then be between 100 mile Ranch and 100 mile House? Also wondered if there were any links to Sweet Home or Bend in Oregon which sounds ridiculous probably. There is no guarantee that this is correct, I wish so much to be able to pinpoint an exact place/area and it would mean much to find James but all that can be done or given are possibilities. Everything is worth a try. Sikanni Chief Falls in the protected area - route 97 Attic Creek Road was another suggestion made some while ago from Tarot. Dee posted it in the comments. More MAP POSSIBILITIES x 3. Though it is not practical to really name places via Tarot I wonder if there are any links to Red Deer or Edmondton and the yellowhead highway. I really hope you repost and that Dee can look on a map to see if she can place Tarots thoughts on it. Will keep checking for any new reposts. This area is familiar BUT such a HUGE area and where to begin searching?? There are so many ravines, cliffs, hills, mountains airplane strips (private)how close to the town?? etc would help!! BUT a more specific area would really help!! Just re-reading the reading and it is good...the part where you are going to ask Dee if she can look at a map to see if she can place Tarots thoughts and that you would try and repost soon. You are on track with the whole area BUT if he is hiding/hidden a more precise location would really help. I come to this site often and hoping for more information. Thanks for your reading!!! Location is difficult, it can often be so right and at other times slightly off the mark but I have asked Dee if she has a map. She might have sent me one and I have overlooked it but have requested another and will post soon. Hello Julie, my email is on this site, feel welcome to contact me if you would like to. I have taken out your email for privacy for you and your family. Can you do another reading? Is anyone here? 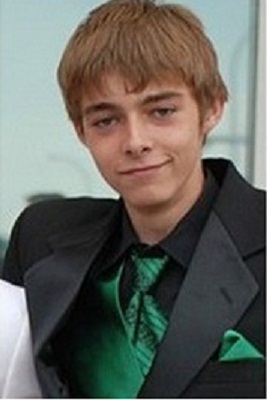 Is James still missing? I am here everyday. I have not heard anything as yet to say he has been found. If you hear something please let me know. He is still missing. I think this would be a good time to possibly recontact Julie and do another reading ? I have recently been in contact with Julie, Jamies mother to discuss various aspects of the Tarot. Hi there, a couple years back I thought I bumped into Jamie, in which I have been talking to Julie, his mom. I would love if you could do another reading if it’s possible and would even help with costs incase their is a fee. Another thing from reading this, that someone who was with Jamie, knows something but is not saying anything. I wonder if this is one of the friends that went camping with him on the night he disappeared!